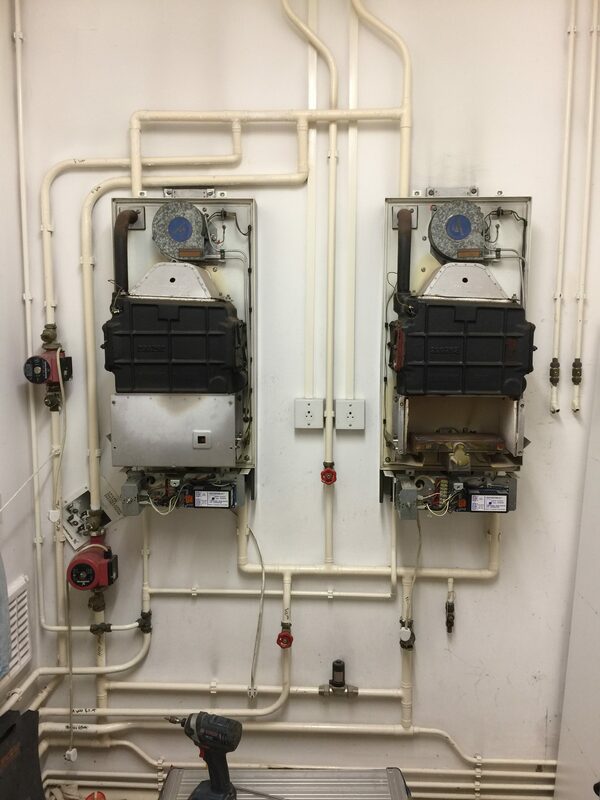 Two old gas boilers at the end of their serviceable life were breaking down regularly and costing a fortune to run. The practice also had a combination boiler upstairs which they wanted removing as part of the installation. 2 New 27RI boilers, a 50 litre pressure vessel and some clever re-allocation of pipework later and the centre is now enjoying a modern, efficient and reliable central heating system. 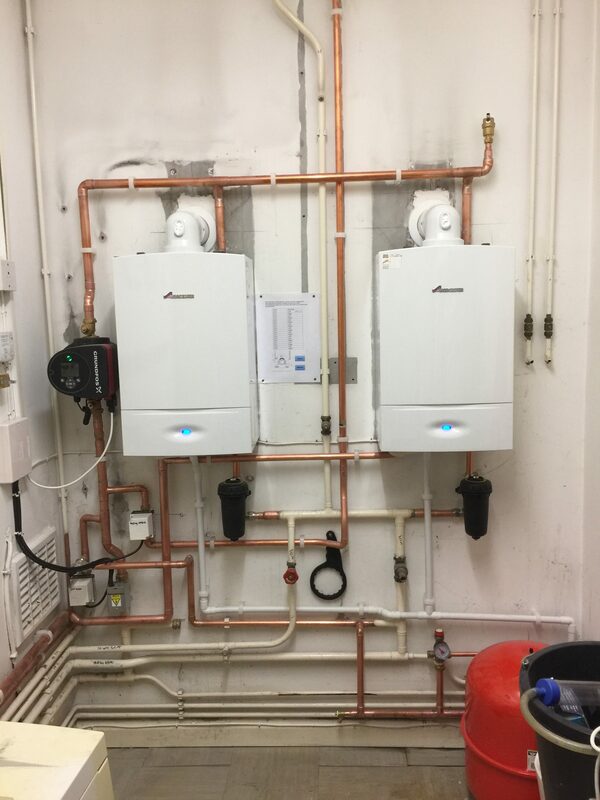 Sean and Alex immediately set about removing the old boilers and finding solutions to problems that became apparent – in less than 3 days the new system was up and running with controllable zones upstairs and down stairs and a new digital programmer. A great boiler installation that will give a fall back option well into the future.